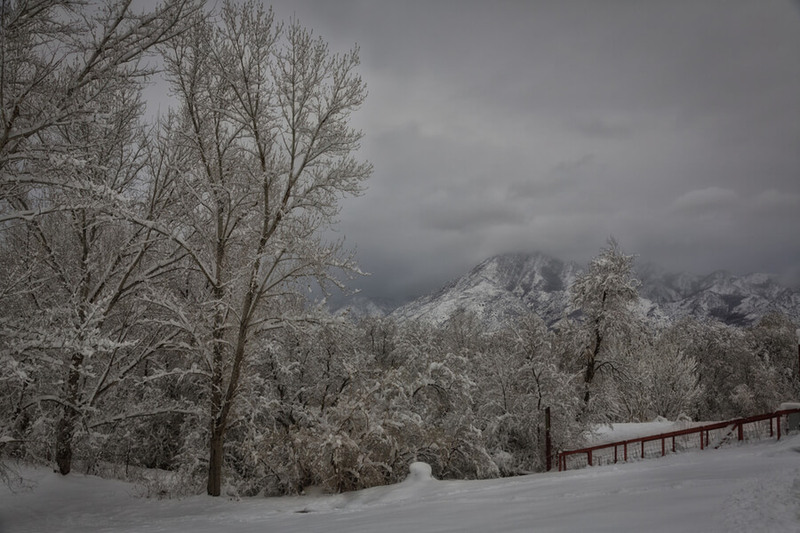 Located in the city of Murray, Utah, Recovery Ways, is a treatment facility for adults looking to overcome substance abuse and mental health issues such as mood, personality, and bipolar disorder. The facility also provides treatment for persons dealing with co-occurring mental health disorders. The center offers a holistic approach to addiction treatment, focusing on the mind, body, and spirit of a patient with the help of its experienced, multidisciplinary treatment staff consisting of therapists, clinical coordinators, Board Certified addiction psychiatrists and more. The treatment facility boasts of its recovery-focused, comprehensive, and person-centered quality of care and provides patients with the chance to receive family support and unique forms of therapy including sensory integration, occupational therapy, and sober recreation therapy. The facility offers evidence-based, personalized care in all four of its locations in the city of Murray, Utah near Salt Lake City. Clients, upon admission to the center, are usually assigned a Primary Care Coordinator (PCC) who collaborates with the client to develop an individualized treatment plan that suits their needs. Among the levels of care, Recovery Ways offers a wide range of programs including residential addiction treatment, medically-supervised detox, Intensive Outpatient Program (IOP), and a day treatment program. The center also offers aftercare services for patients who have undergone addiction treatment. In addition to this, the facility also offers different models of counseling, process groups, and educational groups. The center’s four locations were designed with addiction patients in mind, unlike other treatment facilities which are usually repurposed. The facilities are modern and comfortable and conducive for recovery. The Copper Hill facility and the Mountain View facility act as the living quarters. The former can house up to 30 people while the latter can house to 24 persons. The centers provide the residents with private baths and bedrooms, and the communal lounge areas can be used for reading and watching TV. Laundry services (washers and dryers) are available on-site and residents may visit the local gym six times per week. Tobacco use is allowed in particular areas of the rehab center. The facility has a salad bar and the food is prepared and served on-site. Snacks such as yogurt, cheese, fruit, and crackers are also made available to clients. Residents with special dietary/nutritional needs and food allergies are always considered. The inpatient detox program offered at the facility is medically-supervised and overseen by psychologists, nurses, social workers, and psychiatrists. The program occurs in a safe and comfortable environment where the family of the patient can also be involved. Detox may last for about 3-7 days, and clients may be given medication such as Methadone and Buprenorphine if necessary. The residential treatment program is highly structured and designed for patients who are not experiencing withdrawal symptoms and do not require acute care. Patients are involved in counseling sessions and about 8 hours of programming per day. The Intensive Outpatient Program (IOP) is designed for patients who want to be more independent and responsible. Clients may receive treatment while still avoiding absence at work or school. The program’s average maximum length is six months. Recovery Ways costs approximately $18,000 for a 30-day treatment at the facility, but this price is subject to change as it is greatly dependent on the type of treatment and level of care a client requires. The facility is willing to work with out-of-network providers. Clients are advised to contact the facility for more information on payment, insurance verification, admission, and more. The facility doesn’t work with state-funded health plans but private pay options are available to clients in need of such. The facility is accredited by the Joint Commission and the NAATP (National Association of Addiction Treatment Providers). The facility offers recreational and holistic therapies such as bowling, rock climbing, bowling, and more. After such activities, the supervising counselor monitors behaviors and social interactions, which is reported back to the client’s personal therapist. The facility offers a program which involves healing trauma in a sensory integration room. This session involves patients laying on a hammock and meditate, by picking everything in the room from lighting, to sound, to temperature and all. This program has been proven to provide a calming effect on patients and works well in comforting and treating trauma patients. In entirety, the facility provides well-vetted programs in a facility with views of the mountains, unlimited individual therapy sessions, affordable cost, and more. Clients seeking a facility that doesn’t have individuals spend the whole time sitting in therapy chairs will find Recovery Ways to be a good option. Andrew holds a Bachelor’s degree in Child Development and Family Studies from the University of New Mexico and a Master’s degree from New Mexico Highlands University in Social Work. He is certified to practice Addiction Counseling and incorporates holistic therapies to his treatment methods. Cate holds a Bachelor’s degree from the University of Utah in Economics. She has over four years of experience working in the behavioral healthcare industry. She has a wealth of experience handling issues such as growth strategy, benefits administration and more. She is well versed in the generalist functions of human resources and works well with people. Duy holds a Medical degree from the University Of Utah School Of Medicine and is board certified to be an Addictionologist. He went to the Carnitas Carney Hospital where he completed his psychiatry residency and a fellowship training from Boston University in addiction psychiatry. He previously worked as a plastic surgeon repairing traumatic deformities before joining the facilities.